As an ambassador for co-operative identity in Ontario, OCA believes in leveraging all of the tools that our umbrella organization - the International Co-operative Alliance (ICA) - has created in order to promote and strengthen the global co-operative movement, while encouraging others to do the same. 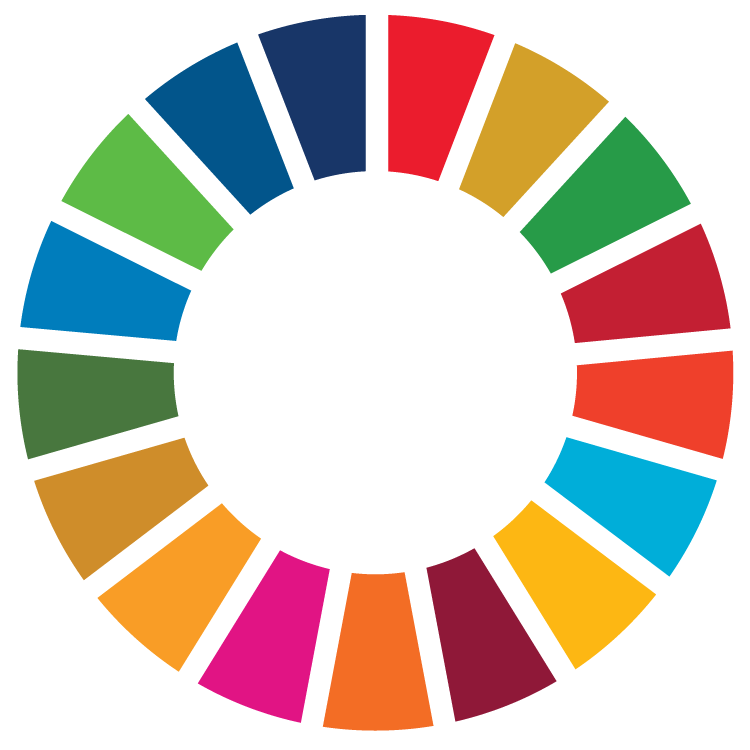 By doing so, we strongly support the need to develop and adapt an international co-operative identity - a consistent and common "brand" for co-operatives - and have adopted the ICA's Blueprint for a Co-operative Decade, the .COOP domain, and theUnited' Nations' Sustainable Development Goals. Learn more by clicking on each of the links below! 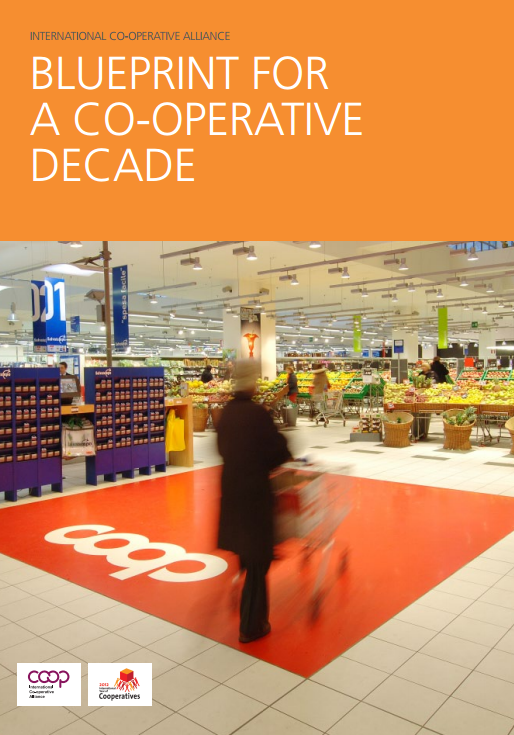 OCA supports the ICA's Blueprint for a Co-operative Decade, which seeks to bring co-operative identity to a new level. The Blueprint was drafted in 2012 by the General Assembly of the International Co-operative Alliance, and outlines five principles to enhance the presence of co-operatives worldwide: participation, sustainability, identity, legal framework and capital. The ICA believes that co-operatives offer a unique answer to contemporary problems – a space where individual economic pursuits are valued, and where these economic pursuits are embedded within a holistic consideration of the world in which we live. OCA agrees, and we are one of many co-operatives around the world that have adopted the Blueprint. It also marked the beginning of a worldwide campaign to take the co-operative way of doing business to a new level. The acknowledged leader in economic, social and environmental sustainability. Co-operative identity forms a key pillar of the Blueprint, as we as a movement seek to increase the visibility of the co-operative model. The ICA has therefore developed a global co-­operative identity that all co­-operatives can align with, and which differentiates us from other forms of business. The co-­operative Marque (logo) and the .coop domain are the symbols of the global co­-operative movement and of our collective identity; together, they demonstrate our unity of purpose. In 2013, the ICA launched the global Co-operative Marque (or logo). It was the first significant change in the visual identity of the co-operative movement in almost 100 years. The new marque is a clear signal that the co-operative form of enterprise is professional, contemporary and business-like. The ICA's main objective was to create a new image that will become the new global co-operative visual identity, used to provide a 'promotional umbrella' and 'unity of purpose' for the global co-operative movement. Their goal is for the co-operative identity to become one of the best known ethical marques in the world by 2020. The Co-op Marque inspired the creation of OCA's new organizational logo. In the past, we also incorporated the marque in many of our marketing and communications materials over the years, including our print and electronic communications, PowerPoint presentations, event branding, social media and e-mail auto signatures. The Internet Corporation for Assigned Names and Numbers (ICANN) recognized .COOP as the co-operative movement’s internet domain in 2002. It is the only domain reserved for co-operative organizations. OCA adopted the .COOP domain in early in 2005, and we use it in both our email address and website domain to promote our co-operative identity and linkages. Why should co-operatives use the .COOP domain? Because the letters after the dot in your email and web address tell the world more about your business than anything else online - and it creates the first impression someone has of your organization. Using the domain helps you stand out as a co-operative, as your web and email address instantly inform your customers, members and the millions of people online that you are a different type of business - one with ethical values and principles. The .coop domain is also a way for co-operatives to identify each other, find opportunities to co-operate and strengthen the co-operative movement. It connects you with other co-operatives through a special directory, thereby encouraging and facilitating co-operation among co-operatives. It gives greater visibility to your co-operative, strengthens our unique model of business enterprise, and demonstrates that you are part of a larger global co-operative movement of more than 750,000 co-operatives, with over 85 million members. Show the world that you put people first, that you’re great to do business with, and that you’re not just another dotcom - you’re a co-operative! Today, thousands of co-operatives benefit from using a .COOP domain and the marque in over 100 countries around the world. 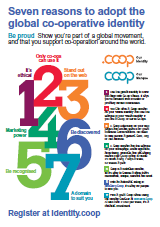 Learn more about the Seven reasons why you should adopt the Co-operative Identity! As a co-operative, you can apply to use the marque and get a .COOP domain at www.identity.coop. The ICA is an independent, non-governmental organization established in 1895 to unite, represent and serve co-operatives worldwide. The Alliance provides a global voice and forum for knowledge, expertise and co-ordinated action for and about co-operatives. Learn more about them on their website! Co-operatives at their very root and identity are well aligned to help the United Nations achieve their 2030 agenda for sustainable development. Learn more about this and how OCA is helping support these goals!